This year's festival will take place at Rogue Ales and Spirits in Newport. Admission is by donation. The NW LoopFest - a performance art presentation of music and technology. Live looping is artists using hardware/software technologies to instantly record and playback sound. Born from the experimental efforts of early pioneers with magnetic tape and sound recording devices, "Loopers" have expanded into every music genre and into performance art. What I have assembled at this festival are performers who are passionate and serious about their music and their technology. 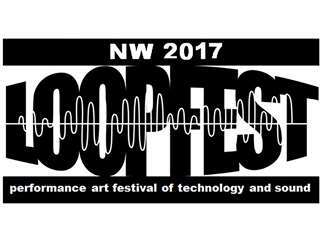 The NW Loop Fest is a brand new, grassroots festival celebrating the innovation of looping artists. The 2017 NW LoopFest (www.nwloopfest.com) is scheduled for two dates. The NW LoopFest is specifically looking for artists who actively promote themselves, have a documented performance history, and incorporate looping technologies into their set. Long Beach musician and artist Sander Roscoe Wolff sits on a small stool at the Expo Arts Center. In front of him is a synthesizer and a couple of other digital contraptions attached to a tangle of wires. After fiddling with some of his equipment, which includes a Boss DD-20 Giga Delay and a Korg Kaossilator Pro loop recorder, he begins to play a series of notes on the keyboard that are automatically recorded then played back a couple of seconds later. Then he plays another track on the keyboard that’s again recorded, played back a few seconds later and layered over the original piece. He repeats the process two more times to create a new piece of spontaneous music as the recorded tracks continue to play simultaneously with a slight delay in between each track as Wolff begins to perform live music on the keyboard. This is called looping, a musical technique that mixes technology and computer software with instruments to create beats, musical notes or sounds that are then instantly played back and applied in repeating patterns to create numerous styles of music. It’s a technique that requires considerable musical talent but that’s often unnoticed by the casual music listener, although it’s an essential tool for various musicians, particularly soloists. And in Long Beach, live looping will not go unnoticed this weekend thanks to a two-day event dedicated to celebrating the musical technique. “Live looping is basically a way to perform where an individual musician, or several musicians, can create very complicated arrangements using repeated loops of music or sounds,” said Wolff, who will perform with his group, Toaster Music. Wolff’s improvised electronic group is part of a lineup of about a dozen other musicians that will perform at the Southern California LoopFest happening at Cal State Long Beach on Friday and Saturday. The music at the free weekend event will include such genres as pop, progressive rock, avant-garde and ambient sounds, but all the performing artists count on looping as an essential element of their music. “The amount of people that are doing this is huge, but there is only a few of us who are putting this movement together,” said Noah Peterson, a San Antonio based saxophonist and festival organizer who will also perform at the event. Some of the other artists who will be live looping include Raina Kim, who performs as Portrait XO and describes her music as experimental pop with a folk flare; Andre La Fosse, who refers to his live performance style as “turntablist guitarist,” and Long Beach musician Zack Walters. The LoopFest will also include a panel discussion on music and technology. The Long Beach event, which is in its third year, is one of a series of traveling Loop Fests organized by Peterson. The tour, which includes the Las Vegas, North West, Rocky Mountain and Texas Loop Fests, is an expansion of a festival that began in Santa Cruz in 2001. There are also several international festivals that celebrate looping, which has been an important part of music dating back several decades. “Using tape to create repeating patterns was something that was being explored in the late ’50s, early ’60s,” said Wolff, who will also be one of the panel speakers. Looping was popularized in the ’70s by such artists as King Crimson guitarist Robert Fripp and producer Brian Eno, who developed a system that used reel-to-reel tape machines to loop music, Wolff explained. “It was a way to create beautifully slowly evolving music that was harmonically and melodically complex just played by one person,” Wolff said. Kim, the singer/songwriter who performs both days and dabbles in various genres, says she relies heavily on looping when creating her music, which is sometimes described as folk-tronica. She’s still deciding what she’ll do onstage at LoopFest, but her set will include some of her original music and maybe even some experimental stuff using sounds of the city and nature she has been recording that she can loop live to create ambient sounds. After all, that’s part of what looping is all about. Loop Stations and loop pedals—those little devices that record a musical phrase and repeat it back ad infinitum—are becoming the standard. Not only for solo musicians aiming to replicate fully formed compositions without the help of a backing band, but also for experimental artists to let tones and noises either create a mantra-like experience or challenge the patience of anyone within earshot. Jazz artist Noah Peterson appreciates both sides of that spectrum, which is why he created the NW LoopFest, an all-day celebration of the technology. Cal State Long Beach is kicking off its inaugural Craft Beer Festival this weekend, where attendees can imbibe in unlimited two-ounce pours of over 100 different brews. Long Beach, like many other large cities, has been swept up in California’s burgeoning craft beer movement, drawing notable brewers like San Diego-based Ballast Point, which recently opened a location in Alamitos Bay, along with a number of home-grown micro breweries. And several of them will set up shop on Saturday at the Jack Rose Track Stadium, where beer connoisseurs can hear live entertainment and eat at food trucks. Among those serving unique brews on draft will be Angel City Brewing, Beachwood, Goose Island, Golden Road and Smog City Brewing. The two-day festival begins Friday evening with a brewer’s reception and “hoppy hour” at the Nugget Brew & Pub from 5 to 9 p.m., an event where everyday folk can “rub elbows” with brewers and craft beer industry insiders, according to the festival’s website. Also on Friday will be a craft beer pairing in the on-campus Chartroom Restaurant from 6 to 8 p.m. For the event, rare craft brews will be paired with a variety of different bites created by celebrity chefs from across Southern California. It will be hosted by craft beer guru “Dr.” Bill Sysak, Stone Brewing’s official craft beer ambassador known for amassing one of the largest private collections of rare brews in the nation. Tickets to the festival are $49 for general admission, from 2 to 5 p.m., or you can kick in an extra $15 for VIP admission which allows entrance at 1 p.m. Tickets for the Chartroom craft beer pairing event on Friday are $150 a person, but that price includes VIP entrance to the festival on Saturday. For more information, including a full list of beers on tap, or to purchase tickets visit www.lbbeerfest.com. Also on campus this weekend will be the Southern California LoopFest, a free event in its third year that will feature live musicians and a panel discussion on looping, a musical technique that mixes technology and computer software with instruments to create beats. The event will offer a variety of genres, including pop, progressive rock, avant-garde and ambient sounds. The NW LoopFest is an electronic music presentation of artists who utilize looping technologies. Performers come from throughout the region — with one guest artist, Hideki Nakanishi (aka Mandoman) from Japan and another, Daves Device, from San Antonio. The concert will be streamed live. The 2016 LoopFest season is in full swing. Details for when and where each fest are taking place are on the individual webpages. Please like, and share the FB pages and events for the fest(s) you are interested in. The LoopFests are also looking for in-kind donations of services, concessions, and hotels. Volunteers are also needed. Peterson Entertainment, Llc is proud to have partnered with the Bob Cole Conservatory of Music at California State University at Long Beach to present the 2016 Southern California LoopFest on Oct 14th and 15th. Sponsors currently include: Morley Pedals and Loopinglive.com. We are looking forward to an excellent festival in California this year. Details to come. The 2016 LoopFest Season is rolling along. And there are NEW developments. King Center Recital Hall on Sept 24th and 25th. The 2016 Southern California LoopFestwill be presented at the California State University Long Beach campus on Oct 14th and 15th by the Bob Cole Conservatory of Music. The Texas LoopFest (www.texasloopfest.com) is newly created and will replace both the San Antonio LoopFest and the Austin LoopFest. Dates TBA. Loopinglive is an online zine out of the United Kingdom dedicated to live looping. Morley Pedals is the industry leader in optical "Wah" technology. Pigtronix makes the Infinity Looper - a powerful and dynamic dual channel device. NW Loopfest is a "celebration of loop-based artists", with musicians like Son Fish, the Electric Noodle, Cindy Sawprano, Troll Foot Frass, and others taking a two-day residency at the Rendezvous. The NW LoopFest: Once again it is the greatest, most creative musical event you’ve never heard of is here! This year the NW LoopFest (www.nwloopfest.com) is four nights in three cities. LoopFest is a showcase of music and technology performance artists. These artists use hardware and/or software technologies to instantly record and play back sound. It is a diverse, creative, innovative, and fascinating display of talent, science, and art. Looping has been around for decades in academia, avant garde, and incorporates new technologies into making sound. All of the artists are highly talented, highly creative, highly interesting, and amazingly in technologies and styles. Some are noise, some use traditional song forms, some are ambient, some are powerful, some are subtle. Complete line-up, set-times, venue, and ticket information for each event is online at www.nwloopfest.com along with links to artist websites and video recorded performances from last year’s festivals. Facebook links are available for those who want to personally interact with the festival and performers, as well as links to stream the concerts live. The fest runs Oct 28th and 29th, shows start a 7pm and admission is by donation. For those of you wondering what is a “LoopFest?” It is a showcase of music and technology performance artists. These artists use hardware and/or software technologies to instantly record and play back sound. It is a diverse, creative, innovative, and fascinating display of talent, science, and art. Looping has been around for decades in academia, avant garde, and incorporates new technologies into making sound. All of the artists are highly talented, highly creative, highly interesting, and amazingly in technologies and styles. Some are noise, some use traditional song forms, some are ambient, some are powerful, some are subtle. Our debut year for the Rocky Mountain LoopFest features a mix of local and national talent performing a variety of music with an incredible amount of cool technology. This year the SoCal LoopFest features performers from 8 states and 5 countries. Performers of note include L.A’s own Steuart Liebig, Zack Walters of 3rd Alley, Jambandman David Gans, Aldo Caldo’s comedy/musical presentation, vocal looper extraordinaire Alissa Vox Raw from Toronto Canada, and the incredible music and instruments of Cabezas de Cera from Mexico City, Mexico. Complete line-up, set-times, venue, and ticket information for each event is online at www.socalloopfest.com along with links to artist websites and video recorded performances from previous festivals. Facebook links are available for those who want to personally interact with the festival and performers, as well as links to stream the concerts live. The Rocky Mountain LoopFest: Here it is for the first time! The greatest, most creative musical event you've never heard of is here! The Rocky Mounain LoopFest (www.rockymountainwloopfest.com) is one night each in Denver and Colorado Springs. The opening night is Thursday September 24th at the Mercury Café, 2199 California Street, Denver, CO. Show starts at 7pm. Admission is $10 at the door. Closing night is Friday, September 25th at the Royal Castle Lounge, 2355 Platte Place, Colorado Springs, CO. Admission is $10 at the door, show starts at 8pm. Complete line-up, set-times, venue, and ticket information for each event is online at www.rockymountainloopfest.com along with links to artist websites and video recorded performances from previous festivals. Facebook links are available for those who want to personally interact with the festival and performers, as well as links to stream the concerts live. The San Antonio LoopFest: the greatest, most creative musical event you've never heard of is here for its second year. What is "looping?" Basically it is using hardware and/or software technologies to instantly record and play back sound. It has come a long way from its origins in magnetic tape. Since then, it has expanded through technologies and genres across the globe knowing no boundaries for niche or style. Performers from Mexico, France and Costa Rica mix it up with U.S. artists for an international display of music and technology. All of the artists are highly talented, highly creative, highly interesting, and amazingly diverse in technologies and styles. Some are noise, some use traditional song forms, some are ambient, some are powerful, some are subtle. The only commonality being looping. Complete line-ups for whose playing on what night are online at sanantonioloopfest.com. The NW LoopFest is sponsored by Beat Buddy. and/or software technologies to instantly record and play back sound. It is a diverse, creative, innovative, and fascinating display of talent, science, and art. Looping has been around for decades in academia, avant garde, and incorporates new technologies into making sound. interesting, and amazingly in technologies and styles. Some are noise, some use traditional song forms, some are ambient, some are powerful, some are subtle. Walters of 3rd Alley, Jambandman David Gans, Aldo Caldo’s comedy/musical presentation, vocal looper extraordinaire Alissa Vox Raw from Toronto Canada, and the incredible music and instruments of Cabezas de Cera from Mexico City, Mexico. 5205 E Pacific Coast Hwy. Here it is for the first time! The greatest, most creative musical event you've never heard of is here! The Rocky Mounain LoopFest (www.rockymountainwloopfest.com) is one night each in Denver and Colorado Springs. Closing night is Friday, September 25th at the Royal Castle Lounge, 2355 Platte Place, Colorado Springs, CO. Admission is $10 at the door. Show starts at 8pm. The debut year for the Rocky Mountain LoopFest features a mix of Colorado and national talent. Complete line-up, set-times, venue, and ticket information for each event is online at www.rockymountainloopfest.com along with links to artist websites and video recorded performances from previous festivals. Facebook links are available for those who want to personally interact with the festival and performers, as well as links to stream the concerts live. Once again the greatest, most creative musical event you’ve never heard of is here! This year the NW LoopFest (www.nwloopfest.com) is four nights in three cities. The opening nights are Oct 15th and 16th in Seattle, WA at the Jewelbox Theatre in the Rendezvous Lounge. Admission is $10 and the shows start at 7pm. Advance tickets are available through the festival webpage, www.nwloopfest.com or via Jewelbox Theatre website. Oct 17th is a single-day, two-stage looping extravaganza at the Analog Theatre in Portland, OR. Admission is $10 at the door. Show starts at 4pm. Oct 18th is a special presentation of selected technologies at the Lincoln City Cultural Center. Tickets are donation only. Show starts at 5pm. some use traditional song forms, some are ambient, some are powerful, some are subtle. Complete line-up, set-times, venue, and ticket information for each event is online at www.nwloopfest.com along with links to artist websites and video recorded performances from last year’s festivals. Facebook links are available for those who want to personally interact with the festival and performers, as well as links to stream the concerts live. For Thisissami, expect a heavy hitting electro set that will be 100% improvised. Cindy Sawprano creates avant pop tunes mixed with soundscapes using musical saw, voice, found objects and effects. What uses hardware, software, musicality and volume to create performance art? Live looping, like the kind that will envelop the Lincoln City Cultural Center. After gigs in Seattle and Portland, the NW Loopfest will bring six artists and seven hours of live looping to the center. The 2015 NW Loopfest is billed as a “performance art festival of technology.” Looping artists use hardware/software technologies to instantly record sound, and play it back, creating layers of sound that explore many genres of music and film. Born from the experimental efforts of early pioneers with magnetic tape and sound recording devices, “loopers” have expanded into every music genre and into performance art. The NW LoopFest, a four night event showcasing music and technology performing artists, is coming to Portland on Saturday, October 17 at the The Analog Cafe and Theatre. NW LoopFest is a unique event that highlights the hardware and software technologies artists use to record and play back sound (looping). It combines science, art, and talent to display the innovative facet of musical creation. The event will be a live presentation featuring the diverse and creative sounds these technologies produce. Looping has been around for decades and has been part of creating and incorporating new sounds. In this year’s NW LoopFest, two new looping technologies will be introduced in the line-up. Frederick Brummer from Vancouver, CA will debut his analog looping device that manipulates a record disc similar to DJs' scratch and mix. MC Space Cadet will present his gestural live looper. NW LoopFest incorprates different musical elements and style, including noise, traditional song forms, and ambient. For the complete line-up, times, venue locations and ticket information, click here. The Analog Cafe and Theatre is located on 720 SE Hawthorne Blvd. The Southern California LoopFest is back for another round! The most creative musical event you've never heard of returns to diPiazza’s in Long Beach, 5202 E. Pacific Coast Hwy, for two nights of music and technology wonderment from around the world. The fest runs Oct. 28-29, shows start a 7 p.m. and admission is by donation. Some are noise, some use traditional song forms, some are ambient, some are powerful, some are subtle. This year the SoCal LoopFest features performers from eight states and five countries. Performers of note include L.A’s own Steuart Liebig, Zack Walters of 3rd Alley, Jam band man David Gans, Aldo Caldo’s comedy/musical presentation, vocal looper extraordinaire Alissa Vox Raw from Toronto, Canada and the incredible music and instruments of Cabezas de Cera from Mexico City, Mexico. Complete lineup, set times, venue, and ticket information is online at: Click here> along with links to artist websites and video recorded performances from previous festivals. Facebook links are available for those who want to personally interact with the festival and performers, as well as links to stream the concerts live. With two nights in Seattle (10/15-16) and one in Portland plus Sunday at the Lincoln City Cultural Cener (5pm, free), the Portland show is $10 at the door at starts at 4pm. Cost: Free – Donations accepted and split among artists and the Cultural Center. I had no idea that Portland even had an electronic music festival of its own until this year, and I have to say, I am so far highly impressed with the lineup. NW LoopFest includes some of the biggest upcoming names in electronic music around the country, with special attention paid to our own local heroes. There are too many great groups on this lineup to fully mention in this post — Quiet Horn, Professor Slicebox and Waffle Taco, to name a few — but the one I am most excited to see right now is Chrome Mole Monocle. The mastermind behind this project describes the sound as “exactly what a monocle-wearing mole might sound like, given the right instruments.” Don’t take his word for it. Listen to the song below, and you’ll see not only why Chrome Mole Monocle was asked to be part of this festival, but also why it’s one of the most interesting electronic groups I’ve heard out of Portland in recent months. For about $10, you get dozens of bands upstairs and downstairs, starting at 4 p.m. and ending after 1 a.m. It doesn’t get much better than that. With its fine-tuned acoustics, the auditorium of the Lincoln City Cultural Center is the perfect place to enjoy a little opera, some classical guitar or seven hours of high-tech, live looping. The sound of live looping will envelop the cultural center this Sunday, Oct. 18, when the NW Loopfest comes to the coast, hot on the heels of gigs in Seattle and Portland. Looping artists use hardware and software to instantly record sound and play it back, creating layers that explore many genres of music and film. Born from the experimental efforts of early pioneers with magnetic tape and sound recording devices, “loopers” have expanded into every music genre and into performance art. Some of the featured festival artists, like Cindy Sawprano and Canzino, play traditional instruments while looping the outputs. Others expand the art form even further. 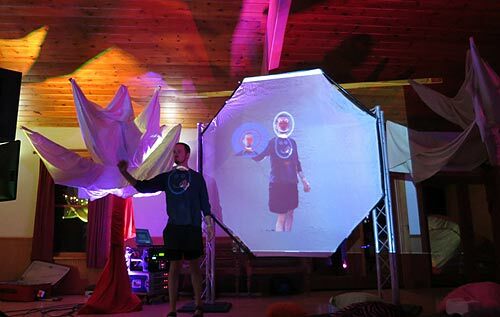 MC Space Cadet, for example, has created an entirely new “instrument” that is played with the body — a kinetic-based, gestural, visual looping machine called the Holofunk. Admission is by donation, thanks to a lodging donation from Chinook Winds Casino Resort. Donations will be split between the center and the artists. Doors to the all-ages event open at 5 pm at 540 NE Hwy. 101. For more information, go to www.noahpeterson.com/nw_loopfest or call the cultural center at 541-994-9994. LINCOLN CITY – What uses hardware, software, musicality and volume to create performance art? Live looping, like the kind that will envelop the Lincoln City Cultural Center. After gigs in Seattle and Portland, the NW Loopfest will bring six artists and seven hours of live looping to the center starting at 5 p.m. Sunday, Oct. 18. Admission is by donation, thanks to a lodging donation from Chinook Winds Casino Resort. 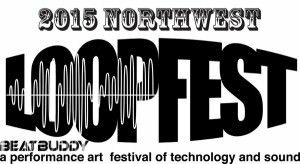 The 2015 NW Loopfest is billed as a “performance art festival of technology.” Looping artists use hardware/software technologies to instantly record sound, and play it back, creating layers of sound that explore many genres of music and film. Born from the experimental efforts of early pioneers with magnetic tape and sound recording devices, “loopers” have expanded into every music genre and into performance art. Doors will open at 5 p.m. at 540 NE Highway 101 in Lincoln City. The event is open to all ages. Donations will be split between the center and the artists, with the lodging provided by Chinook Winds Casino Resort. For more information, head to the festival website: www.noahpeterson.com/nw_loopfest/. Or, call the Lincoln City Cultural Center, 541-994-9994. Noah Peterson – LoopFest MC and saxophonist extraordinaire. Tasty tunes, funky riffs, screaming sax with effects, and a couple of campy songs are served up with some Texas soul. The music is fun, well arranged and a delight every time. www.noahpeterson.com. MC Space Cadet – Part demo, part performance, he uses a kinetic-based, gestural, audiovisual live looper, Holofunk. “Basically a ‘Minority Report’ interface for looping.” He can see and manipulate the music as he creates it, and the audience can see it, too. Thisissami – Expect a heavy hitting electro set that will be 100 percent improvised. Sami performs with a variety of controllers and synths, all routing into Ableton Live’s Session View (aka Sami’s Looper). Just Alliance. Photo by Sam Torreso. On Wednesday and Thursday, October 28 and 29, the annual Southern California LoopFest returns to diPiazza Restaurant and Lounge. LoopFest, the brain-child of Noah Peterson, was inspired by Rick Walker's long running Y2K International Live Looping Festival in San Jose. The SoCal LoopFest will, over its two day run, feature artists from around the globe. Performers from the United States, France, England, Mexico, Canada, and Germany are scheduled to take the stage. The festival is a traveling celebration of an art form that first gained popularity in the '70s when English artist and music producer Brian Eno collaborated with King Crimson founder and guitarist Robert Fripp on their seminal album, No Pussyfooting. There are two main kinds of live looping. The first, known as phrase looping, uses small segments of music, which repeat continuously, to create complex arrangements. An artist might create a rhythm part, overlay a bass part, add a chord progression, and then improvise over the whole thing. The second is, for lack of a better term, non-phrase-based looping, which uses a system where each part that's played repeats and, with each repetition, slowly fades out. This can create slowly evolving compositions. The main feature which both share is that everything is created live, with nothing pre-recorded. Within both of these looping styles, you'll find people who tend to perform composed pieces. Peterson, for example, has written beautifully arranged songs for the saxophone and, aside from the natural variations inherent in live performances, will be pretty much the same from show to show. Others, like bassist Steuart Liebig, nearly always improvise all aspects of their performances. John Allen, who performs as Just Alliance, is headlining Wednesday's show. He's solidly in the phrase looping camp, but blends composition and improvisation rather freely. Using only his voice, mad skills, and various effects, he creates performances that have thrilled thousands in his home town of Las Vegas. He recently performed at the LoopFest in Denver, which has stops in Seattle, Portland, Austin, and San Antono. Long Beach Post: How did you get started with music? Just Alliance: Music has always been a huge part of my life. I was exposed to a wide array of it when I was little. Rap, Rock, Oldies, Country, and Gospel. In the sixth grade I delved into classical music, and the stories behind some of the greatest pieces ever written really struck a chord with me. High school was spent shoulder deep in jazz, and the rich history behind it. Noodling on the the piano led to the upright bass, which lead to the trumpet. My Mother and her sisters sang old time gospel in their youth. When I was little she played a lot of that music-and traditional country-around the house. That was, and remains, the closest to musicians in the family outside of myself. What sparked your journey into classical music? In the sixth grade I had a music appreciation class. My teacher started us off with Bach. He gave us not only the music, but also a historic and cultural context behind the music as well. This continued all the way through the music of the 20th Century. Learning the "why" of the music was very captivating. Learning "why" a piece was composed gave life, and a new meaning, to music that, up until that point, I thought of as merely background music. I never thought of it that way again. How long did it take before you felt like you could play music with it? It wasn't until my second year of high school when my band director held a jazz clinic over the summer. He gave us the Bb Blues scale and put on an Aebersold. [Note: Jamey Aebersold created play-a-long recordings of jazz and blues standards that had simple arrangements and no solo parts.] The idea that I could take a particular scale and play anything I wanted was the turning point. After that, I was immersed in jazz for the next six years. I didn't buy one pop album that entire time. [It was] 100 percent jazz. Much is the same, now, with live looping as my initial foray into jazz: 100 percent freedom in the music. Your choices. Your rules. There was something about expressing yourself without the printed page that affected me. When I started listening to jazz, I began with big band and worked my way all the way up to "modern" jazz. It was exciting to pick up licks and styles along the way and drop them into a performance or jam session. Even today, much of my live performance is improvised! When you listen to The Jazz Messengers, they have some of the coolest melodies (or heads) around. Once their improvisation starts, and everybody is taking a solo, it brings the music into such a higher level. Looping is much like that for me. Many times I will improvise entire sets out of the germination of the smallest fragment of a sound, melody or texture. It is never the same. How did you discover live looping? I heard of looping from other musicians I knew, but I never understood what they were talking about. One day, I was at home and was poking around the web and a website had a link that said, "Musician makes entire song with just his voice. #Onemanband" I clicked on it and my life changed forever right then and there. What I saw was just as exciting and just as much of a revelation as improvising over a 12 bar blues years before. One person, making all of the music, live! WHOAH! To be honest. I didn't know what I was watching, what the gear was, let alone how it was done, but I knew I wanted to do it. It would take months of saving money to pick up my first effects pedal, but my very first loop pedal fell into my hands about a week or so after watching the video for the first time. Keep in mind that, up to this point, I was a trumpet player and had zero effects, knew zero effects, and couldn't tell you the difference between an XLR cable and a mic stand. At first I didn't know how far this rabbit hole was going to take me. So I picked up a small loop pedal and a entry level mic and a small amp. When I started listening really closely to the initial video, I made my first landmark discovery in looping: vocal effects. I saved a bit of money and bought my first vocal unit. I remember the day after I bought it. I came home and panicked because I spent close to a rent check on an effects unit I had zero idea how to operate. I locked myself in my apartment and watched every video I could, online, about my initial rig, and spent many nights saying, "Lets see what this button does." A couple of months later I performed in public for the first time as a loop artist. I brought my small rig, wrapped in a sheet and placed inside of a laundry basket, to an open mic. I set up onstage and performed, "Moondance." There were four people in the audience. Three weren't paying attention. Only the host was listening. He invited me back for the next week's open mic. My new looping career had begun! That was 2007. What's the music scene like for you in Las Vegas? Las Vegas has so many incredible musicians, both on and off the Strip. Many people don't realize that Vegas has around 2 million residents. There are the regular gigs in showrooms, restaurants and lounges on the Strip, but there is also an arts scene that is always having an event of some sort. I have gone from one end of the spectrum, playing an art opening for a couple of dozen people, to performing on the Strip for a couple of thousand. Between performances, workshops in schools (elementary though college), and being an endorsed artist, there is always something to be working on and following up on. Sometimes it leads to performing in front of the shot-callers on the Strip. Other times it leads to helping a roomful of musicians in learning the fundamentals of their initial looping set ups. You participated in several legs of last year's LoopFest. What was it like? The loop festivals, last year, were full of some of the most incredible musicians I have ever witnessed. Musicians came from around the world, where the only common denominator was looping. Everybody had their unique approach and overall execution of looping. Even among the vocal loopers on the tour, we all had our own unique take on what we do. I made some very close friends from that tour, and am very much looking forward to doing it again in the fall. What have been your most enthusiastic audiences? I do workshops in schools around the country, many of them in middle and high schools. The younger students are very into what I am doing. I think, with the rise of technology's role in music production, live looping gives them another approach into making their own music. Performing at the NAMM [National Association of Music Merchandisers] show is always exciting. Musicians and gear makers worldwide are there to see the latest and greatest. I've always enjoyed performing there. Just Alliance with students, photo courtesy of the artist. What inspired you to work with students? I taught middle school for close to eight or nine years. I went to college for music education, graduated, then discovered that the "traditional" method of school music wasn't for me. Once looping came into my life, I refashioned my approach to teaching music. My workshop is an extension, and product, of that. Many teachers don't realize that it has many of the hallmarks of music education, just packaged differently. I've also done team-building and self-esteem workshops with high school students. They don't want another, "You can set your mind to this" seminar with some dated platform. I am very, very real. I tell them, "I struggled trying to fit in, to find a venue that would have me, to find musicians to confer with, so I started my own thing and now I do me." At the time I started looping, many people called me by my initials, "J.A." I also knew that if I put my full name on a billboard, marquee or flier, people would come expecting a jazz quintet or something that is trumpet-based. A friend brought up the idea of a moniker. I wanted it to keep my initials and sum up why I do music. Something honest, pure and positive: Just. Oneness, family, community, friendship: Alliance. A positive oneness: A Just Alliance. The festival begins at 7:00PM and wraps up around midnight on both nights. Admission is free. To learn more about Just Alliance, including upcoming performances, visit JustAlliance.com. You can also find interviews with fellow loopers, discussions about teaching, and performance highlights on his blog. To learn more about the other performers participating in the festival, visit SoCalLoopFest.com. diPiazza Restaurant & Lounge has live music nearly every night of the week. To learn about their food and events, visit diPiazzas.com. The Southern California LoopFest returns to diPiazza’s in Long Beach for two nights of music and tech performances from around the world this Wednesday and Thursday. The artists from eight states and five countries use hardware/software to instantly record and playback sounds and music. (Best pop example is Ed Sheeran.) Shows at 7 pm each night and is admission is by donation. NOAH PETERSON grew up as the youngest son of band director in Billings, Montana. "Montana is not exactly a very musical place." states Noah. Still, Noah decided to take some piano lessons which eventually led him to play in the school band and sing in the choir. Later, Noah enlisted in the USMC and served a tour in the Marines as a saxophonist in the band. "After that, I moved to Portland, OR got a degree in music from a small college and have been playing all kinds of music ever since: jazz, blues, funk, gospel, zydeco, reggae, folk, rock, avant-garde, classical, electronic, etc.... Music has been my job, my love, my life for all of my life. Mostly I play sax. But I play other winds, whistles, hand percussion, I'm a great zydeco rub-board player, I can play some keys and do a little singing here and there." states Noah. Noah is producer, composer, musician's rights advocate, and music industry consultant. "I have a one-man loop station show that I tour across the U.S. and produce festivals in Seattle, Portland, Southern California, Las Vegas, Denver, Austin, and 've stared a new festival "The San Antonio LoopFest" a performance art showcase of music and technology. Although I've only been in San Antonio a couple of years, I feel very connected here. I've been on local TV and Radio. I've performed at Luminaria, Fiesta, Six Flags, a lot of the local rock clubs and all over Central Texas. I've joined the production team for Roots in the Shadows of San Antonio: a compilation project featuring local bands that I got coast-to-coast airplay on college radio stations. I've signed several bands to my label and have helped about a dozen musicians in town with getting paid royalties for their musical efforts. I've joined a couple of great local groups: La Chichada and West Kings Highway and am helping them revamp their projects and get new recordings out." says Noah. "I've partnered with Phillip Luna to produce a couple of records with other artists in town; most notably a new solo project with Garret T. Capps as well as helping Phil to market his older catalog and promote his group, The Please Help. I also host a regularWednesday night at J&O's Cantina featuring mostly looping artists and musical friends of mine. I love the music business, I love getting down with great musicians, I love San Antonio. I think this town has a great music scene that is supported by a music loving community. I'm thrilled to be a part of it and feel like y'all have embraced me as one of your own. I hope to continue these efforts of helping bands be better, make more money, and raise the musical profile of San Antonio outside of Texas. I'm hoping more musicians will take advantage of the mechanisms available to them to spread their music and get paid for it." Looping is using hardware and/or software technologies to instantly record and play back sound. It has come a long way from its origins in magnetic tape. Since then, it has expanded through technologies and genres across the globe knowing no boundaries for niche or style. All of the artists are highly talented, highly creative, highly interesting, and amazingly diverse in technologies and styles. Some are noise, some use traditional song forms, some are ambient, some are powerful, some are subtle. The only commonality being looping. Instruments include the Chapman stick, saxophone, guitar, vocals, keyboards, clarinet, flute, mandolin, Chinese instruments, drums, electronics, home-made instruments, and bass. Oct 12 – Free Shows! The 3rd Annual NW LoopFest returns. Returning to the Analog Cafe and Theatre in Portland on Oct 11th. Live looping artists from the city, the region, the nation and the world are coming in for two nights to showcase the merging of music and technology. There is no other place you can go to hear these many diverse sounds from these many places. Instruments traditional, foreign and home-made. Software and hardware technologies. Music styles from mainstream to jazz, funk, classical, avant-garde, noise, ambient, experimental and more. With two nights in Seattle and one in Portland and Ashland each, most shows are free and all ages until 10pm. The Portland show on Saturday, November 11 is $5 at the door. back sound. It has come a long way from its origins in magnetic tape. globe knowing no boundaries for niche or style. powerful, some are subtle. The only commonality being looping. electronics, home-made instruments, and bass. NW LoopFest, Friday, Analog Café, Portland, Saturday, Caprice Vineyards and Milagro’s, Ashland. Performers from the US, Mexico, Sweden, France, Japan, Italy, Canada, and Slovakia perform loopy music (that is, using analog or digital loops of sounds, a la Bill Frisell, Zoe Keating, and zillions others) on Chapman stick, saxophone, guitar, vocals, keyboards, clarinet, flute, mandolin, Chinese instruments, drums, electronics, home-made instruments, and bass. Thursday, October 9th-Friday, October 10th: Hit the Royal Room in Columbia City after 6pm for LoopFest, which boasts dozens of artists using technology, instruments, and more to create live mixes on stage. Musicians from all over the world will join together for two days for a love of looping. "Loopers" are musicians known to mix instruments with technology and other software to create an avant garde sound—a sound similar to what Trent Reznor became famous for when he released Pretty Hate Machine under his band, Nine Inch Nails, in 1989. Noah Peterson, a San Antonio musician otherwise known as a looper in his closer circles, is spearheading the five-stop tour throughout California in the hopes of creating a West Coast showcase of national and international talent. This will be the first time Peterson brings a collective of loopers to Long Beach as part of the International Live Looping Festival. 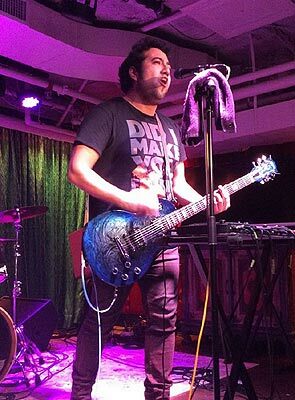 "[Long Beach] has a creative culture, and I got to see Mark [DiPiazza]'s venue and we like the all-ages thing," Peterson said. "I like that it has a great rep and sound. The parking seemed like a good fit and it's right outside of Los Angeles which is great for traveling artists." Originally, the Looping Festival began in Santa Cruz in 2001 with Rick Walker. The event has been around now for 14 years and has expanded to other cities and countries. Peterson was invited by Walker to play at his festival one year, and both now share artists and resources to help each other cross promote. Long Beach resident Sander Wolff, who will also be performing on Wednesday, has been looping for over 30 years. One style of looping, Wolff explained, is known as "Frippertronics," a style that will repeat anything played into it and following each repetition, the sound will slowly fade out; this allows a musician to create harmonies or melodies. Wolff said he would perform Frippertronics looping for the festival. The other style is based on repeated music at a specific interval without fading out. Musicians can then create new chord structures or percussion patterns that can add depth while the musician sings or plays another instrument. Since the looping scene in California is relatively new, Peterson reached out to artists in seven different countries to put on the festival. He guarantees the 19 artists set to perform in Long Beach are some of the top notch loopers from the world and include well-established loopers such as Japanese looper Mandoman, Cian by way of Mexico, and Stockholm-based Per Boysen. "The big thing about looping is that the nature of it being a one man band, we tend to do it all on our own," Peterson said. "These communities are brand new, so we're definitely reaching out around the world. I try to find those that are avant garde, those in the community that come from a specific group—I try to pick a variety of musicians—expect to be amazed." The first annual SoCal Loopfest will take place on October 22 and 23 at 6PM at DiPiazza's, located at 5205 E Pacific Coast Hwy. For those unable to make the event, click here to view the livestream while the event is occurring. (Analog Café, 720 SE Hawthorne) Loop Stations and loop pedals—those little devices that record a musical phrase and repeat it back ad infinitum—are becoming the standard. Not only for solo musicians aiming to replicate fully formed compositions without the help of a backing band, but also for experimental artists to let tones and noises either create a mantra-like experience or challenge the patience of anyone within earshot. Jazz artist Noah Peterson appreciates both sides of that spectrum, which is why he created the NW LoopFest, an all-day celebration of the technology. He's booked an impressive array of looping acolytes, including fusion folk-rocker Rejyna, Mexican ambient jazz-pop artist Cian, the spacey guitar psych of Medford's Ted Killian, and great locals like Consumer, Amenta Abioto, and Noise Agency. The 2nd Annual San Antonio LoopFest sponsored by Blue Moon Brewing and SMART and the FIRST Annual Austin LoopFest: the greatest, most creative musical events you've never heard of are happening Nov 8th and 9th! What is a “loopfest?” A loopfest features artists using hardware and/or software technologies to instantly record and play back sound. It has its origins in magnetic tape in the and has since expanded through technologies and genres across the globe knowing no boundaries for niche or style. The San Antonio LoopFest kicks off with a 5pm-midnight showcase at the 1906 Gallery, it is an all-ages free show asking for donations to support the SMART non-profit. Blue Moon Brewing will be onsite during this Second Saturday artswalk on Nov 9th at 1906 S. Flores in San Antonio. Sunday is in Austin at the Brass House located at 115 San Jacinto Blvd, 5pm start time. Both shows are streaming online via concert window. This festival includes performers from Mexico, Costa Rica, Ohio, Colorado, Nevada, Pennsylvania, Austin, Houston and San Antonio for an international display of music and technology. Antonio's own local looping legend James Sidlo (Honey Barbara) and the up and coming looper Josh Glenn on the bill with other regional and local talent. traditional song forms, some are ambient, some are powerful, some are subtle. The only commonality being looping. video recorded performances from last year’s festivals are there alongside facebook links for those who want to personally interact with the festival and performers, and links to stream the concerts live. heard of is here for its second year. What is "looping?" Basically it is using hardware and/or software technologies to instantly record and play back sound. It has come a long way from its origins in magnetic tape. Since then, it has expanded through technologies and genres across the globe knowing no boundaries for niche or style. Saturday, November 8 at 4 p.m.
Noah Peterson is an enigma. He’s a saxophonist first and foremost, has performed in many groups. He’s also a live looper, using a Boss RC-50 to do the damage. Watching Noah live loop with his saxophone is an experience. There is really no one quite like him in the world. He combines jazz, samba, bossa nova and all those other kinds of grooves with the technology of the RC-50 and the result is a very retro yet modern sound. Sometimes, listening to Noah, you can almost hear the building blocks of such bands as Radiohead (think the final rise and fall of ‘National Anthem’ from ‘Kid A’). Noah’s sound has a lot of potential, and its shocking to really contemplate. There are wholly new music pathways that he’s treading that aren’t seen much at all in modern popular music because they just haven’t been popularized yet. However, trust me when I say this stuff is very cutting edge. Outside of performance Noah puts a lot of labor into pushing Live Looping as an art form. He recently championed a series of Loop festivals all over the United States. Expect big things from Noah Peterson in the future. In ways, he’s already doing bigger things than most of us could begin to imagine. But, if you can imagine it, this is scarily just the beginning. A monstrously creative and hardworking individual with a selfless and real sense of the value of live performance be it his own or others. The inaugural Texas Loopfest is being held this Saturday in San Antonio at Boneshaker’s Tap House & Pizzeria. What is looping music? Why it’s artists who use technology to instantly record and playback sound! These “loopers” are generally (but not always) one-man-bands that layer live recorded tracks on top of each other to make all kinds of music. Some of it is funky, some is rocking, some is ambient noise and some is literally indescribable. The show is free and for all ages and very family friendly. Ten acts from San Antonio, Dallas, Austin and Lawrence, Kansas are ready to astound and amaze with a combination of music and technology. There will be food and fun at the Texas Loopfest presented by Peterson Entertainment to be held Saturday, Nov 9 at Boneshaker’s Tap House & Pizzeria, 306 Austin St. starting at 6 p.m. and continuing late into the night. Complete line-up and set times are at www.sanantonioloopfest.com. The second annual NW Loopfest brought musicians to Seattle and Portland from all over the world, some hailing from as far away as France, New Zealand and Austria. Rather than the common thread of a genre, instrument, or record label, these artists each shared the process of looping recorded sound in their live performances. Chances are you’ve seen it before, but organizer Noah Peterson (pictured above, opening the fest at J&M Café in Pioneer Square) gathered a truly eclectic bunch of seasoned “loopers” who breathed fresh life into the well-worn device. Seattle-based experimental flutist Clifford Dunn processed his flute through hand-coded effects, cycling through layers of intricately detailed tones and abrasive textures using a suite of foot pedals. Dunn uses a piece of software called Supercollider to program a degree of indeterminacy into performance: “I can't predict precisely what the computer will do with either the playback speed or the length of the loop. In essence, this becomes a really rudimentary way of working with an artificial intelligence and having an improvising session with another person. Tukso Okey’s pedalboard is not your nephew’s loopstation. 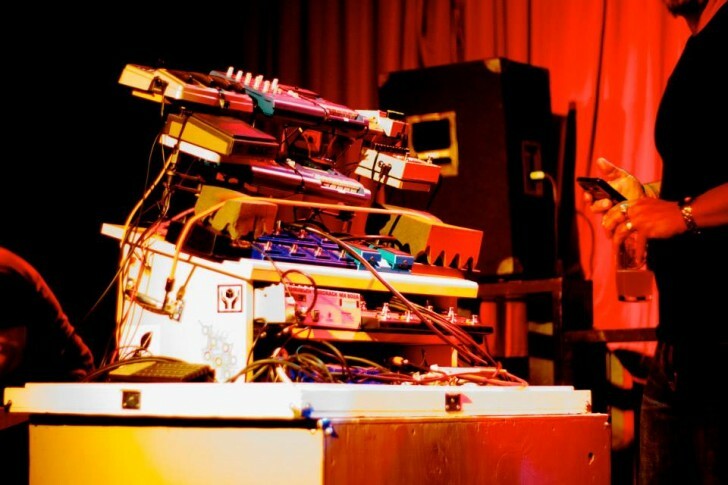 Through the magic of digital effects, Okey used his electric guitar to play keyboard, synthesizer, and bass parts, all while soloing long and often. He told me before his set how, though he lives in Seattle, most of his performances take place in an online environment called Second Life. Eric Muhs, pictured above holding a customized double-neck guitar with a hinge, is the physics and astronomy teacher at Ballard High School. His set featured a theremin, ukulele, and several found objects, and took on the qualities of a sound collage. Muhs was a member of the seminal 1980’s Seattle bands Student Nurse, Audio Leter, and Vexed, and he currently plays in an acoustic Hawaiian band. Closing the first night of Loopfest was the San-Francisco based looper known only as The Genie. Especially compared to the performers before him, The Genie’s sound was polished and linear, deliberately adding cushions of synthesizer atop percussive guitar arrangements. The Second Annual NWLoopfest will take place on Oct 10th and 11th at J & M Cafe, 201 S. 1st Street, Seattle, WA; and on Oct 12th and 13th at The Hawthorne Cafe and Theatre, 720 SE Hawthorne Blvd., Portland, OR. This is an artist-run event and put on because of my passion for looping. If you don't know what looping is: In short it is artists who use hardware and/or software technologies to instantly record and play back sound. Looping was born as soon as magnetic tape was put on reels and brought to the great American consciousness through the popular avant-garde concerts of John Cage. Since then, it has expanded through technologies and genres across the globe knowing no boundaries for niche or style. The NW LoopFest: the greatest, most creative musical event you've never heard of is in its 2nd year. After a critical success in its debut year, the NW LoopFest has literally exploded. Going from one night in Portland to 25 performers from the NW, California, Ohio, New Zealand, Austria, France and Singapore over 4 shows in Portland, OR and Seattle, WA. Some are major figures in the international live looping community, some are obscure locals. All are highly talented, highly creative, highly interesting and amazingly diverse in technologies and styles. Some are noise, some use traditional song forms, some are ambient, some are powerful, some are subtle. You can go the website for links and bios on most of the artists. Male and Female from many walks of life. The only commonality being looping. This year's fest while heavy on guitars (which isn't out of the norm for looping) also features some very interesting "other acts" including saxophone, flute, beat-boxing, Eric Muhs and his industrial noise, several cello acts and even a couple of small bands. The mix of international and local talent is sure to set everyone's world on fire. Many of the local artists from the 1st annual NW LoopFest have returned in one form or another. While most performers are instrumentalists of one kind or another, ANI, based out of San Franciso uses IPad and Iphone technologies to give a super-funky dance mix to her synth loops. All of these performers have been especially chosen for their unique technologies and performance styles. No one is alike here. The variety from performer to performer is amazing. Complete line-ups for whose playing on what night at online at www.nwloopfest.com as well as links to tickets and artist bios and websites. Facebook links are there as well for those who want to personally interact with the festival and performers.